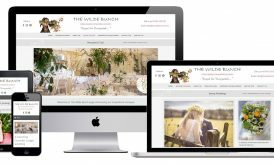 Project Brief: An established Bristol florist, The Wilde Bunch create original and innovate wedding floral creations. Clifton Web Design was commissioned to design their new website as the owners felt we had the right creative approach to meet their requirements. 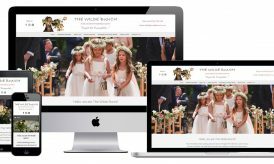 Project Outcome: The pictures really do tell the story when it comes to wedding flowers, so we designed the website with the images centre stage. We separated the images into seasons of the year, so customers can easily pick the season of their wedding and get a feel for the flowers. Some quirky touches, such as the owner’s dog, personalise the website and sets it apart from the crowd.